UNC Asheville’s podcast series explores how we, as a university, put our core values into action on campus and in our community. In this episode of UNC Asheville’s podcast, we talk to students who use video games to bring history into the future, and we head to STEAM Studio at the RAMP to hear from professors, UNC Asheville students and middle schoolers about what happens at the intersection of art and engineering. 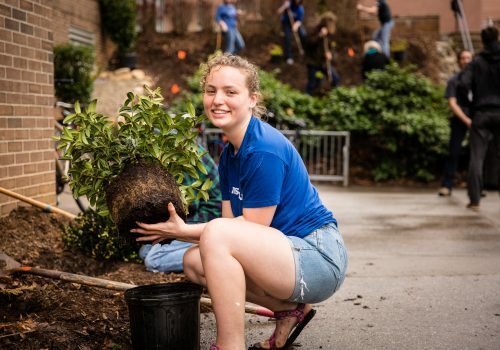 Our debut podcast, “Sustainability at UNC Asheville,” highlights the many sustainable practices and ideas emerging in every corner of campus, from edible landscaping to research projects to community dinners.